But bluffing doesn't stop at poker. There are many other games that you can bluff your way through, including Balderdash, Spades, Stratego and… Scrabble. In a game of Scrabble, bluffing is done by playing phoney words. These words are non-valid words played on the board, intended to fool the other player. Sometimes they're easy to spot as fake, other times not. 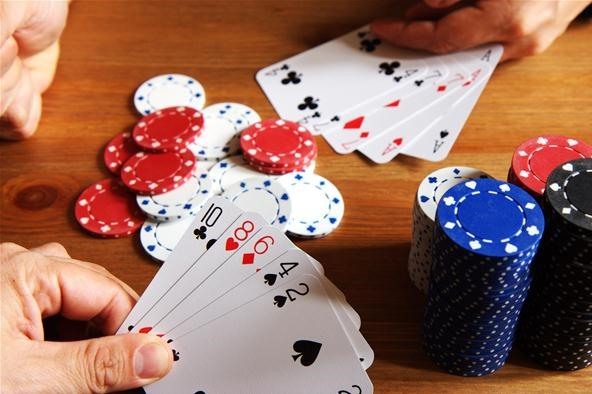 If you're playing against someone with a large mental lexicon, never mind how good your poker face is, it'll still probably get challenged off the board. But no matter what, you have to be cool, calm, and confident, and you have to believe it's a word—just like passing a polygraph test. Losing a bluff in poker means losing the pot. Losing a bluff in Scrabble means losing your turn, which could be devastating and cause you the game. This doesn't mean you shouldn't try, even against professionals. In a past Scrabble Challenge, I concentrated on a puzzle that revealed an actual game between Joel Wapnick and Jan Dixon in 1995. Joel played his 7th move with the phoney MYIASISES. He was sure that Dixon knew that MYIASIS was good, but did she know the plural? It's actually MYIASES, but Dixon was not sure and gave Joel the score. She lost 372 to 335. Though a completely legal move (if you get away with it), a lot of players I talk to consider this cheating. For those who think it's less honorable to play a fake word, there is an alternative—real words that look like they're fake words. You can easily provoke them into challenging—and losing their turn. But you need to study these obscure words, along with any acceptable foreign-based words that your opponent might not think is in the dictionary. Another help tip—study all of the variant spellings. Here are a few words that look fake, but are actually legit. Does anybody know of any other tricky words that could provoke a challenge? Being able to play a phoney word might seem easy to you, but it's actually harder than playing a legit word. Something even harder? Spotting a real word that looks like a phoney. Using the letters above, find a bingo play (use all seven of the letters) on the board that either spells a phoney-looking word, or spells a separate phoney-looking word by connection. Post your ideas in the comments below. Good luck. TIP: It's the highest scoring move on the board! ** Click here for the answers. 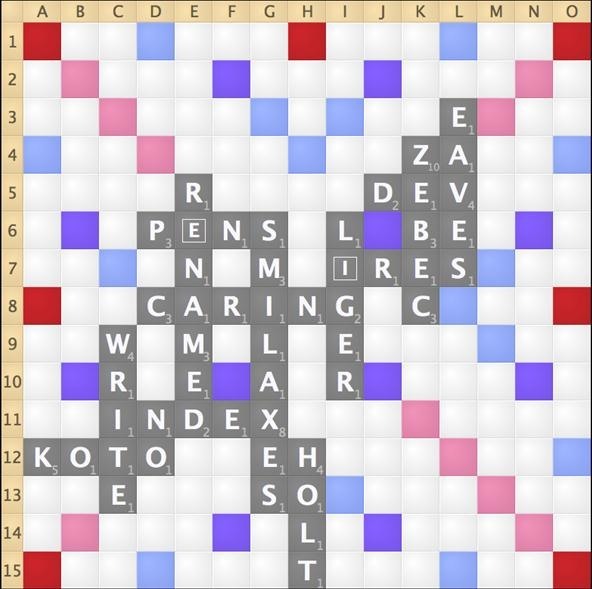 Looking for the answers to Scrabble Challenge #18? Well, there aren't any, because it was just a fun game of Scrabble Rack Attack, which you can play right here.